With the starting grid set, the field of 22 will race under the lights Saturday for 248 laps at Texas Motor Speedway. Ryan Hunter-Reay will be starting from the 10th position. 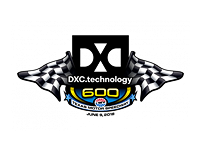 Live coverage of the DXC Technology 600 will be available on NBC Sports Network beginning at 8 p.m. ET.